For a muscle sedan without compromise, check out this Dodge Charger. 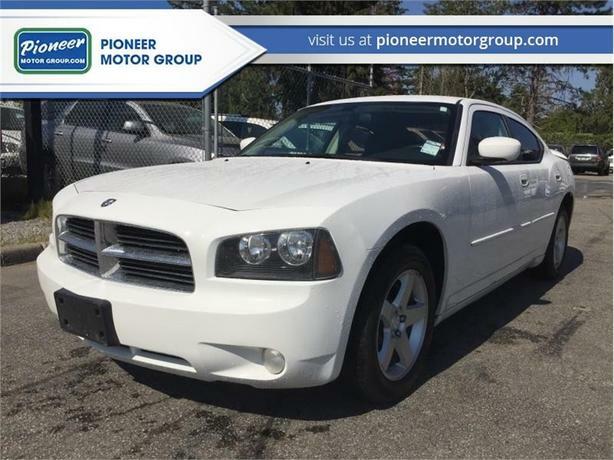 This 2010 Dodge Charger is for sale today in Maple Ridge. Blending muscle car styling with modern performance and technology, this Dodge Charger is a full-size sedan with attitude. It delivers even more performance than you might expect given its level of comfort and day-to-day usability. From the driver seat to the backseat, this Dodge Charger was crafted to provide the ultimate in high-performance comfort and road-ready confidence. This sedan has 183842 kms. It's white in colour. It has a 4 speed auto transmission and is powered by a 250HP 3.5L V6 Cylinder Engine.